Exploration is always of the most enjoyable activity in the world. The wider the world is the more adventures are waiting for you. 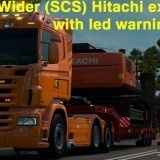 Trying to improve your Euro Truck Simulator 2 game as well? Well, we have something for you! 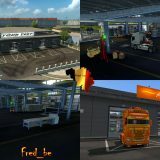 Greatest and absolutely costless ETS2 Maps mods are waiting for you. 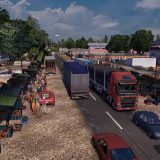 Implement brand new locations and expand your map so the pleasure of playing Euro Truck Simulator 2 would be even greater! 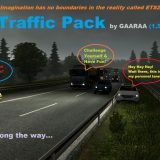 Explore the world you’ve never seen before with best ETS 2 Maps mods and experience the greatest adventures of your life. Still considering about installing mods? Well, don’t anymore because we can ensure that all the Euro Truck Simulator 2 Maps mods are absolutely free without any limitations. That means you can download as many maps mods as you want without spending a single cent. This is the chance of your lifetime so don’t waste it and feel the real meaning of excitement!